polymers for packaging, biocompliant solids for surgical implants, etc." The first paragraph itself start with the technical terms like biodegradable polymers for packaging, biocompliant solids for surgical implants. But the book does not explain what are these. How will a student imagine such technical terms and correlate with the structure of solids? Where are the solid structures of a biocompliant solids for surgical implants? And how structure suits the need for surgical implants. Some glass objects from ancient civilisations are found to become milky in appearance because of some crystallisation. Like liquids, amorphous solids have a tendency to flow, though very slowly. Therefore, sometimes these are called pseudo solids or super cooled liquids. Where is the diagram for it? How will a student imagine solids which behave like liquids, that have a tendency to flow? Where is the diagram for it? And how this happens? Where is the proper explanation? Classify the following as amorphous or crystalline solids: Polyurethane, naphthalene, benzoic acid, teflon, potassium nitrate, cellophane, polyvinyl, chloride, fibre glass, copper. Do the author thinks, students already know what is polyurethane, teflon, cellophane, polyvinyl etc. ? How can they put a question that is not told before? What the author expects, the student will search the internet and find the answers? Where are the structures of teflon, cellophane etc.? How it is significant? These kinds of situation arise throughout the book. The solution is to take feedback from students for every paragraph you write. What question arises in their mind? How can it be explained better? Students should be the stakeholders for the book. Now a review of state board books. e.g. 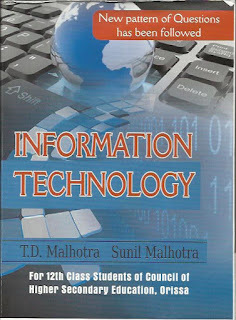 In Odisha, college teachers are fanatic about these books and are most recommended for students. 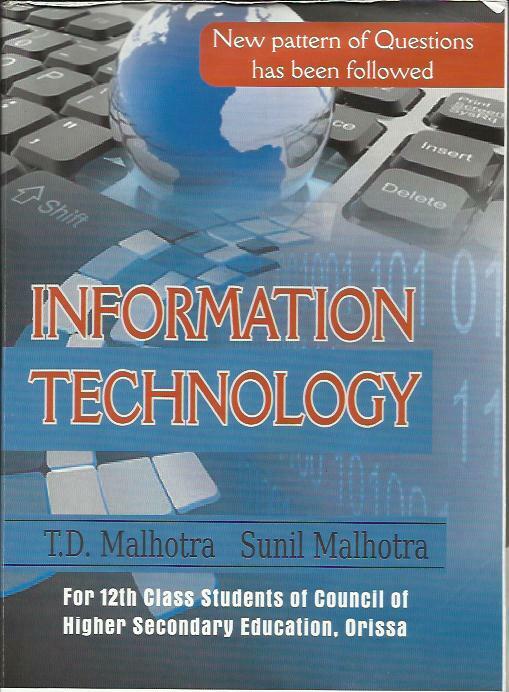 Lets, review an Information Technology book. Even though I can't analyze the complete book, as the number of pages will become more than 10 times of the original book. 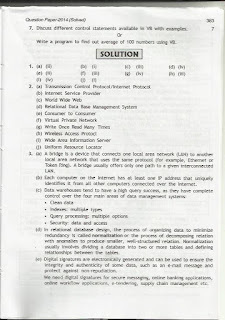 c) ______ service enables an Internet user to move a file from one computer on the Internet. Well, this is only the tip of the iceberg. Now, come to the theory part of the book. It's very interesting. I can make such books in one or two days. Just give the keywords of the syllabus, run a web crawler and done. The book is ready. You will not even get any factual errors in the book. And student work is to mug up the book without understanding anything with just superficial knowledge and get marks in the exam. Textbook must cover six fundamental instructional strategies while presenting the information, defined by rigorous research. 4) Repeatedly alternating problems with their solutions provided and problems that students must solve. Interleaving and Component Practice can be used for better transfer of learning with appropriate cognitive load. It's a decentralized network where you compete to collaborate. Edge weight represents difficulty to get connected. Difficulty depends on factors such as distance, location, quality, price. We need to choose subgraph containing all the required nodes (e.g. 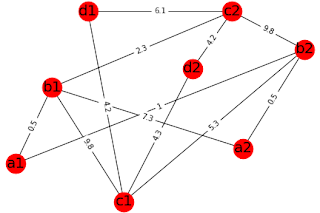 nodes containing a,b,c,d ) that has a minimum weight or optimal weight. 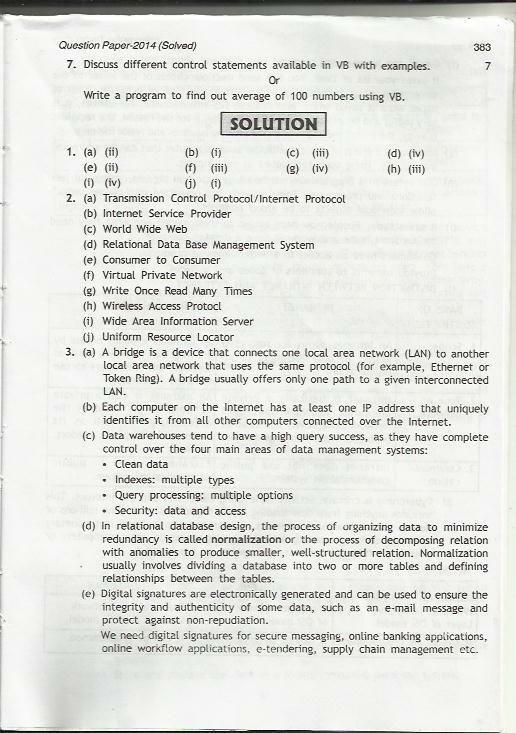 a,b,c,d can represent different services, whereas a1, a2 represents the same services from a different service provider. 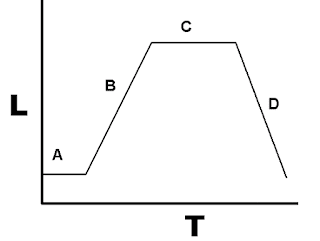 'a' can represent a student, 'b' can represent a teacher, 'c' can represent content provider such as a biology textbook and 'd' can represent a classroom or building. Similarly 'b1' represents teacher1, 'b2' represents teacher2, etc. So, For student1 (a1), the optimum subgraph or subgraph with minimum weight containing all the required services are a1,b1,c2, d2 with weight 0.5+2.3+4.2 . Some students perform better, while others not. What are the main reasons? 1) Study material provided and learning strategies used by teachers.It simply doesn't meet the learning criteria. Students are feed with so much of abstract stuff as a result only those students excel who have a better memory retention capacity of abstract information and those who work too hard for it. But such a hard work is meaningless, as you will forget such information after exams are over. 2) Not teaching kids from where they are. I will explain it with a concrete example. While teaching chemistry, one of my students was so fast in holding information and doing the problems, while other was slow. The reason for her/his slowness is not that he/she is less intelligent, it's because (s)he is taking more time for processing due to lack of previous foundational information. 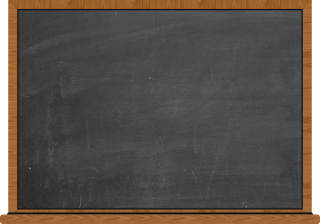 Higher education must immediately stop obsolete blackboard teaching. Higher education must immediately stop obsolete blackboard teaching. Higher ed requires mentor and collaboration. What is obsolete blackboard teaching? to student’s notebook without touching the student’s mind. — George Leonard Patterns for bad practices of teaching, what is done in higher education, even best colleges. So, how this can be solved? What it means to be pedagogically right content? Bacteria and Competition: How it's similar to human? and Why we should have family planning? When bacteria is grown in a liquid nutrient medium, the population is counted at many time intervals, and we get a bacterial growth curve that represents growth of cells over time. Why bacterial growth curve is so important? It gives the idea to learn about the impact of competition in the simplest way. It gives the answer what happens to a population when resources are limited. Bacterial growth best suits even to describe the human population. In this phase bacteria has sufficient resources, so bacteria flourish, prosper or grow vigorously. In science, it's the lag phase and log phase. How much does retrieval practice help in learning? Students do forget things, we measure the effectiveness of the retrieval practice based upon how much they have remembered it. But forgetting doesn't mean that students have unlearned what they have learned. 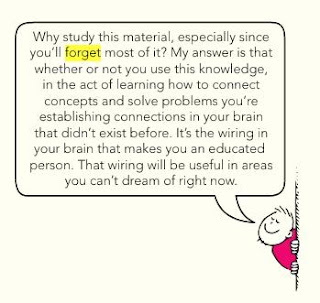 Neither learning means remembering things. Yes, the best strategy to get a high score is retrieval practice. But high score relies on the ability to recall things, not test the actual learning. We need not have to do retrieval practice to do programming, just re-reading and using the code is enough. The best way to learn to program is to use and apply it the hard way. The more you use it and apply better strategies, the more better your programming skill will be. The same principle applies to all subjects, whether its maths, physics, biology or philosophy. Why we face difficulty to remember non-concrete information? What are the functions of a brain? I would go with following steps to show that non-concrete information is the type of information that our brain is not trained for. The most requirement to remember abstract information is more recent when mathematics and different languages were invented. The invention of writing that allowed storing information that we can't remember. The human being invented abstract information like more than one language or mathematics which we are evolutionarily unfit to remember. Are we evolutionary unfit to memorize abstract information? To prove it lets look the following experiment. The brain is good at recognizing things in a span of seconds. 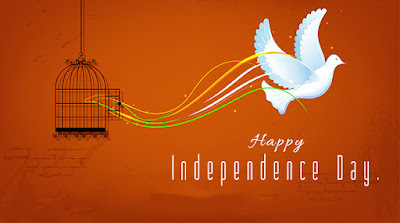 For example, we change our path if there is a hindrance in front. But if you close your eyes, we will miss details of the hindrance. 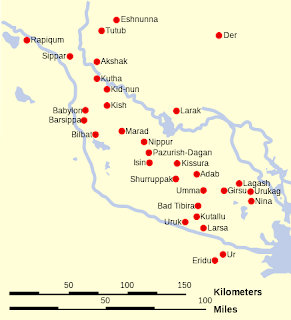 Let's try to memorize this map in a span of seconds or minutes. Can you do it? Probability distribution of marks should not be normal. What type of variable is the mark, discrete or continuous? 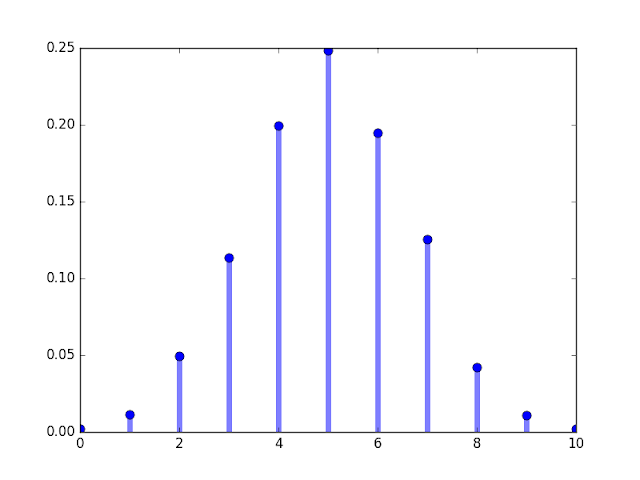 Marks is a discrete random variable that has a finite number of values or a countable number of values. A continuous random variable has infinitely many values, and those values can be associated with measurements on a continuous scale in such a way that there are no gaps or interruptions. For example, 2000 students gave exams with full marks of 10, the probability distribution of marks to have a normal like curve will have following frequency distribution given in the table. Why educational videos don't work? 1) Procrastination: Educational videos give freedom of anytime learning, but this can lead to procrastination. According to Parkinson's Law: "Work expands to fill the time available for its completion". But in case of video lectures or MOOCs there is no limit of time, so usually, we procrastinate. Limiting time to complete the MOOCs is also a bad idea, as it takes away its advantage of any time and anywhere learning. 2) Lack of a social interaction: We share emotions, feelings, discuss with the teacher, friends that come to our mind just like a true social animal and classroom brings a social two-way interaction, but it doesn't happen in case of MOOCs. The public distribution system is inefficient in terms of production, distribution, and consumption of goods and services and lacks inclusiveness. Apps can solve the basic social security problem, bring healthy habits of spending money and can be used to run experiments, test it and improve it to get the best results. 1) API endpoints that any app developer can use and integrate it with their e-commerce apps. Separate types of account for seller and customer. 2) Statistics about how you spending money. General statistics should be publicly available, where experts can review, critic and improve the results. 3) Tagged money, which means you can buy only particular types of products with that money. e.g. Tagged money for grocery, or tagged money for cooked food, or tagged money for education which gets transferred to the seller in untagged form. Possibilities are limitless.